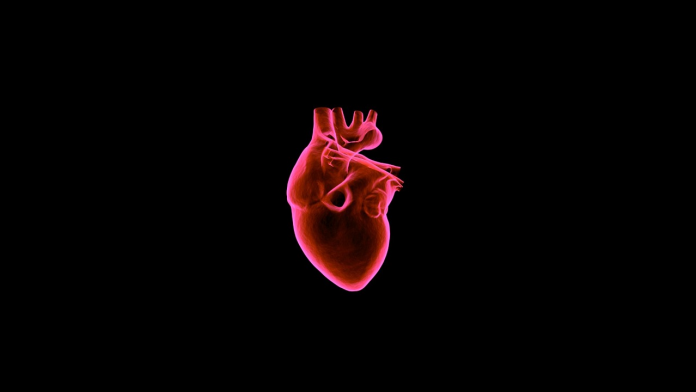 Coronary Heart Disease (CHD) — also known as Coronary Artery Disease (CAD) — is a condition characterized by the narrowing of the coronary arteries, that is, the blood vessels responsible for supplying oxygen and blood to the heart. Ayurvedic experts recommend the use of some useful herbal remedies for Coronary Heart Disease, together with some other measures which can be beneficial in preventing the disease. The occurrence of Coronary Heart Disease is commonly marked by the accumulation of cholesterol on the artery walls, resulting in the creation of a waxy substance called ‘plaque.’ In this condition, the arteries become narrow; thereby reducing the flow of blood to the heart. Coronary Heart Disease is a major cause of illness and death because, sometimes, a clot can obstruct the blood flow to the heart muscle. Generally, this condition causes chest pain (angina pectoris), shortness of breath, myocardial infarction, or heart attack. There are several beneficial herbal remedies for Coronary Heart Disease which can be of immense help in prevention and management of the chronic cardiovascular condition. These remedies, in conjunction with some other pre-emptive measures, underscore an excellent preventive approach against heart disease. In Ayurveda, the term used for Coronary Heart Disease is ‘Hrid-Shula,’ with the word ‘Hrid’ meaning heart, and the word ‘Shula’ meaning pain. Hence, Hrid-Shula is a condition which is characterized by pain in and around the heart. The main reason for the occurrence of this condition is ‘increased or altered Vata dosha’ in the heart and the area around it. Vata dosha basically controls and performs the chief force of movement in any system of the body. The normal course of Vata dosha gets blocks partially or totally due to indigested Meda Dhatu (Cholesterol, LDL) as well as Pitta dosha and Kapha dosha; thereby resulting in pain in the heart and the areas close to it. The use of the bark extract of the extremely beneficial ‘Arjuna’ herb (Terminalia arjuna) is believed to be a panacea remedy for heart diseases. The bark extract of Arjuna possesses anti-ischemic properties, and contains certain acids – including arjunic acid, ellagic acid, gallic acid, and terminic acid — and ‘glycosides’ like arjunine, arjunetin, arjunetosides I, II, III, IV. In addition, it is also abundant in minerals like magnesium, zinc, copper and calcium; and powerful antioxidants like flavons, tannins, proanthocyanidins, and oligomeric. The use of Arjuna can effectively control high cholesterol, high blood pressure, and high triglycerides levels; and strengthen the heart muscles. It can also improve the heart’s pumping capacity and treat blocked arteries, cardiovascular conditions, and congestive heart failure. Herbal formulations prepared from some other potent herbs — other than Arjuna herb — which have proven cardiovascular benefits are also considered to be effective herbal remedies for Coronary Heart Disease. Some of the well-known cardiovascular-active herbs include: Shankhpushpi (Convolvulus pluricaulis), Ashwagandha (Withania somnifera), Amla (Emblica officinalis), Manduka parni (Centella asiatica), Garlic (Allium sativum), Guggulu (Commiphora mukul), Basil (Ocimum sanctum), Nutmeg (Myristica fragrans), Jatamansi (Nardostachys jatamansi), Guduchi (Tinospora cordifolia), Fenugreek (Trigonella foenum-graecum), Ginger (Zingiber officinale), and Herde (Terminalia chebula). According to Ayurveda, Coronary Heart Disease can be prevented and managed effectively by improving the nutrition content in daily diet, and by ensuring the overall health of the digestive system. For preventing cardiovascular diseases, it is important that certain foods which are considered ‘heavy’ should be avoided because they have a tendency to clog the coronary arteries. Hence, it is vital to add those foods to the diet which do not create toxic and clogging impurities in vessel walls, and are low in cholesterol and saturated fats. Such foods can improve digestive health, and facilitate the natural cleansing and healing processes within the cardiovascular system. In Ayurveda, it is believed that, for preventing Coronary Heart Disease, a strong metabolism is as essential for the body as a strong digestion and elimination system. Improved metabolism can help the body to build tissues properly and ensure the effective removal of waste products created by cells and tissues. The importance of improved metabolism of the body is being stressed by Ayurvedic experts for prevention of cardiovascular diseases because high levels of free radicals — toxic waste products — can cause serious cardiovascular damage. If free radicals are allowed to accumulate in the body, they can have a disastrous effect on heart health. Other than the use of herbal remedies for Coronary Heart Disease, along with adequate nutrition and improved metabolism, it is also important to manage stress, in order to prevent heart diseases. Effective stress management can prevent cardiovascular diseases from worsening because chronic stress can place immense pressure on the cardiovascular system because of hormonal changes and other biochemical responses associated with it. Stress can be a serious risk factor of cardiovascular disease besides hypertension, bad eating habits, weak digestion and slow elimination. For managing stress, the technique of meditation should be learnt from a qualified instructor and should be practised daily because it is an ideal mental approach to fight cardiovascular problems. Along with eating healthy foods, it is also necessary to have a proper sleep and exercise routine so that cardiovascular diseases can be prevented. If sleep and exercise patterns fluctuate constantly, the body cannot cleanse or heal itself effectively because it loses its natural balancing cycles and its natural healing process becomes weak. A proper sleep schedule and a daily exercise routine — including Yoga breathing practices recommended Ayurvedic experts — can improve the balance in a person’s physiology and also help in healing the body. Proper stretching and flexibility exercises and Yoga breathing practices can create a state of restful alertness in the mind and the body. Conclusion: Along with recommending the above preventive measures and herbal remedies for Coronary Heart Disease, Ayurvedic experts also emphasize the fact that Coronary Heart Disease can be prevented by quitting smoking/alcohol, controlling blood pressure, and cultivating emotional health and happiness. Next articleWhat is ketogenic diet and how to lose weight with a ketogenic diet?